After decades of stagnating income, social upheaval and family dislocation, the white working class has found a champion in Donald Trump. Disaffected by both the Republican and Democrat politicians, these individuals are searching for political leadership and action that will address their concerns and frustrations with a system that they perceive as “fixed” -tilted toward the rich and powerful. A detailed analysis of these Americans can be found in a recent article in the NY Times by Thomas B. Edsall. While national political leaders have tried to tap into voter discontent, the question that I think left unanswered is what to do about it. What changes in government policies and priorities will help this great numbers of angry Americans? 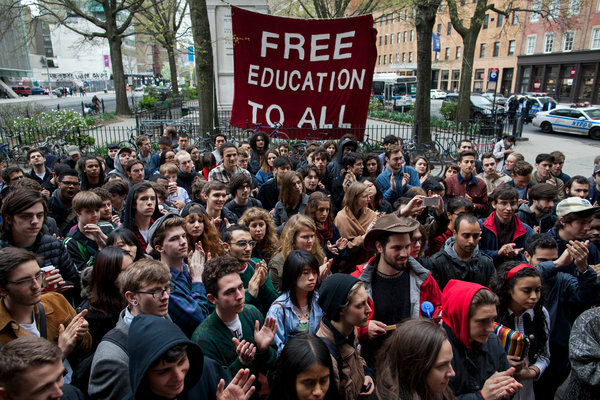 Let me offer a partial but I think powerful prescription – fund public higher education by making it possible for individuals to attend a public college or university at little or no cost. The country has tried this experiment before with great success – the GI bill that enabled millions to obtain a college degree, led to the growth of both public and private higher education and laid the basis for an extra-ordinary period of economic growth and civic health in the United States during the period 1944 to 1968. · Increase tax revenue at the state and federal level as graduates obtain decent paying jobs and businesses expand.